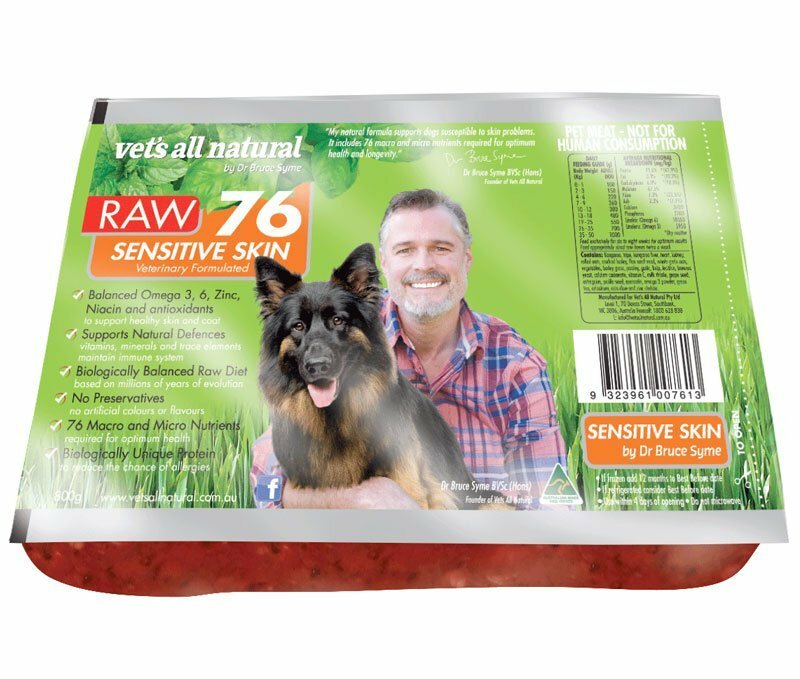 Description: A particular variety of the Premium Choice range specifically developed by Dr. Bruce Syme for dogs with an existing skin or coat problem or with a low allergy tolerance level. A special mix of Dr. Bruce’s “Complete Mix” with added Chinese Herbs to further boost the immune system. Totally natural, raw and 100% preservative free. Recently added, preservative free beef tripe is a wonderful source of fat free nutrients and is also a superb low allergenic meat. Comes in an 800g pack. Ingredients: PRESERVATIVE FREE Kangaroo meat and beef tripe, plus a special blend of Dr. Bruce’s Complete Mix containing extra Chinese herbs to further boost the immune system, such as Astragalas, Perilla Seed, Shitake mushroom, Calcium, Kelp, Lecithin, Vitamins A C D & E, anti-oxidents and selected cereal grains.